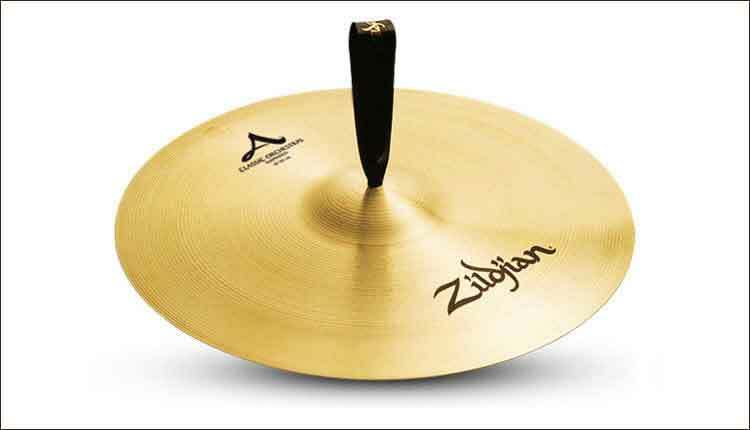 Cymbal choice – Most people choose an eighteen-inch medium cymbal as their general purpose suspended. Make sure that the cymbal responses at all dynamic ranges, especially the outer extreme levels: ppp / fff Make sure it doesn’t break up or distort at the loudest or does not respond well at the softest. Set up – Mount your cymbal on a rattle free straight suspend stand with a cymbal sleeve and felt washer. It is not necessary to use the top cymbal felt. You will never hit the cymbal so hard that it will jump up and hit the wing nut or fly off the stand. To avoid any stand noise what so ever you may want to use a cymbal scrap and suspend the cymbal from a goose neck stand. Sticking Zones – Check out the different sounds of the timbres, colors by choosing different playing areas along with choice of beaters. (bell, dome, medium center, edge, extreme edge/side. Again….get to know the instrument. Rolling – When rolling on the cymbal go to the outer edges on opposite sides of the cymbal. Say 3:00 and 9:00 or maybe 4:00 and 8:00. This will keep the cymbal from wobbling all over and also give you maximum response. Muffling – The duration of a note should be exact!! After a quarter note stops the sound by muffling the cymbal with your hand on the next beat. Half note after two beats, etc…This muffling should be ignored if there is a tie/slur marking or lv. after the note. If playing fast with both hands and the rhythm needs articulation you may quasi-muffle with your belly to help pronounce the rhythm. Two Cymbal set up – When a composer asks for two cymbals they may request for small and large thinking that they will get high and low. Not always true. A cymbals pitch is determined by its thickness. It volume is usually determined by it’s size. A thick cymbal will be higher and a thin cymbal will be lower. When choosing a multiple set of suspended cymbals one should consider several qualities: pitch, size, sustain/decay, response. Make sure they complement each other and blend together. Usually a 18″ and 16″ or 15″ will work fine. The 18″ should be a little thinner to get a lower pitch. Multi set up – If using three suspended cymbals make sure the relationship/interval is the same across the three cymbals. You don’t want one cymbal to stick out more than the other two because it is extremely high or low. Sometimes people will try to obtain a chordal structure like a major triad, minor triad, diminished triad, augmented triad, diatonic, half step etc…some sense of relationship between all three instruments. Check out all four sonorities across the three cymbals. High and Medium, High and Low, Medium and Low, all three together. Muffling multiple cymbals – This can be a fun technique which often will involve a gamelan like dampening/muffling method. Cymbals may be stopped from vibrating independently from each other by holding one mallet in one hand with the other hand empty so you may strike and muffle simultaneously. Always across with the striking hand over the dampening hand. After becoming sufficient with this technique you may try it holding both mallets and muffling with somewhat more of a timpani muffling technique using only the back fingers. If muffling all three cymbals at the same time you may need to use one hand on each cymbal and that belly muffle mentioned earlier. Maybe two hands with a combination of your arm/elbow and belly. Sabian Makes Choosing the Right Cymbals Easy!